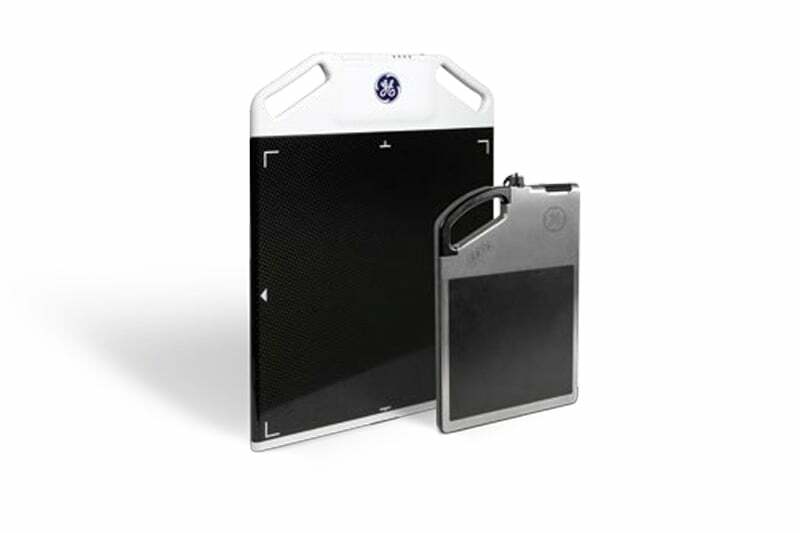 The DXR250C-W is a portable detector from GE that is perfectly manufactured for convenience, safety and productivity from GE’s experience and expertise in the medical and industrial radiography sector. Its goal is it to meet each of the demanding requirements that industrial radiographic inspections sets. With two size options to choose from, the compact 8×8 detector measures only 8 x 8 inches, with a thickness of only 25mm and weighing just 3.5kg, whereas the larger format 16×16 version measures 16 x 16 inches, with a thickness of 26mm and only 5kg in weight. 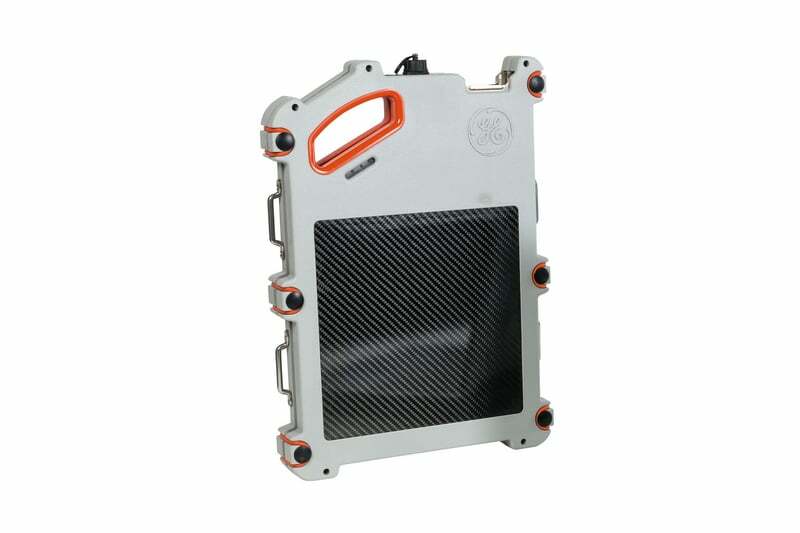 The 8×8 device is compact, portable and ideal for situations with areas which are difficult to reach or where portability is a necessity. The larger 16×16 version is still highly portable, but also offers coverage for medium to large sized objects. Reliable wireless and battery operated technology ensures that no time is lost and that productivity remains high in any situation or location. The DXR250C-W is securely encased in a rugged industrial packaging design that provides shock absorption, and water and dust protection, and can withstand the toughest environments. The carbon fiber front window is guarded against scratches, cracks and dents and an optional hard-shell can be attached for further protection. All electronics components are shielded for added radiation protection. 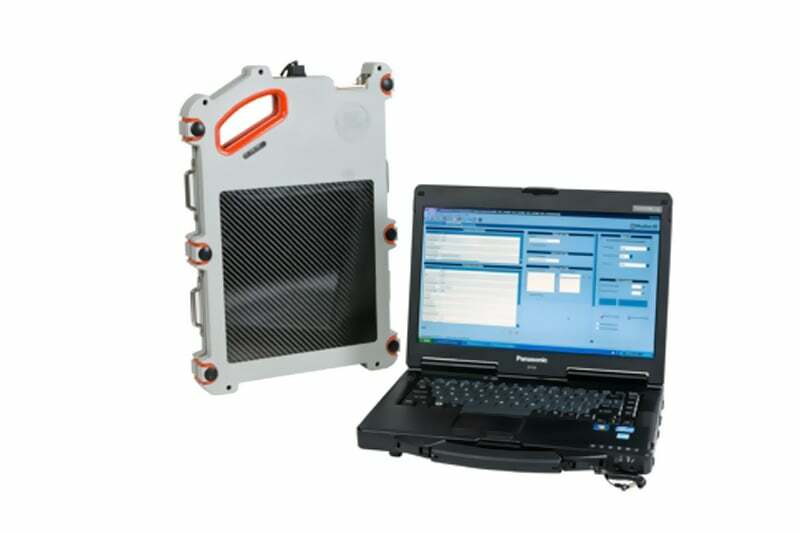 This portable detector was designed for increased human safety and optimal operational productivity. Its sturdy design and fast scanning methods reduce human exposure during radiographic inspections. Integration with Rhythm RT DR Acquire provides extra functionality and reliability. 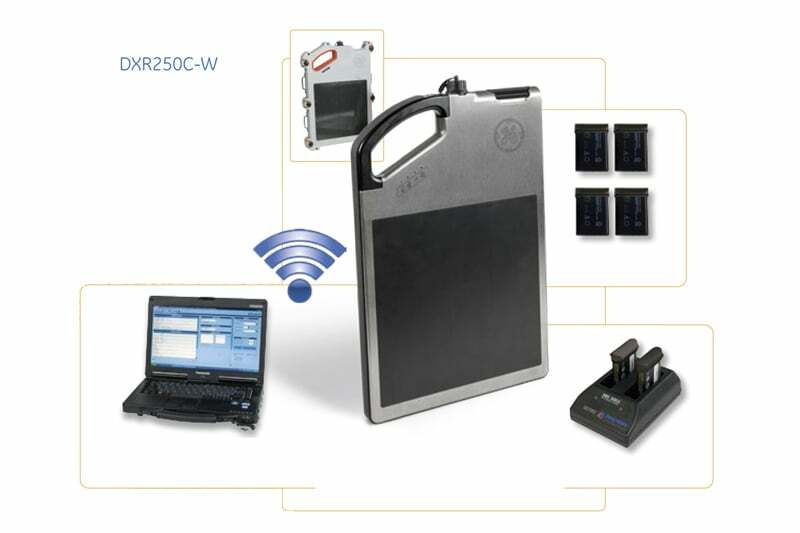 Its wireless dashboard is easy to use and includes handy troubleshooting tools which aid in determining detector connectivity and monitoring crucial aspects like battery status and wireless signal strength. A wide range of optional accessories are available to increase the ease of use, portability and lifespan of your DXR250C-W. Contact us to find out more about the DXR250C-W or any of our other non destructive testing equipment, or request a quote online.